Makes you wanna go yahhhhooooooooooooo! Attention thrill seekers! Tandem Skydiving is awesome... For those who don't know already Tandem Skydiving is a half day introductory jump. If you’ve never dived out of a plane from thousands of feet in the air before then this one is for you. After a 30 minute briefing with a highly experienced tandem master, you are harnessed to the instructor and then taken to between 10,000 and 14,000 ft!! You will have a mind blowing ride in free fall up to a whopping 50-60 seconds reaching speeds of up to 220km per hour ! The instructor opens your parachute at 4,000 ft and you enjoy a quiet scenic ride to the ground whilst you attempt to comprehend the feeling of the air-gasm ! This lasts for approximately 10 minutes. This is an amazing way to experience the thrill of skydiving without having to worry about any of the work involved. 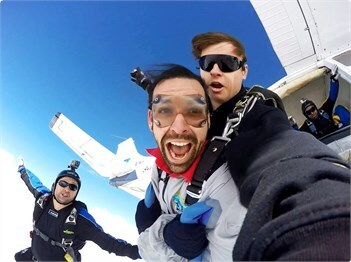 Our video and still photography service is available for your first Tandem skydiving jump. Please note all Tandem jumpers need to allow a good 2-3 hours on site to complete their jump as this allows enough time for preparation and training. If you wish you make a full day of it then get involved! Invite your friends and family to see your first jump or even better experience the rush together. We have BBQ facilities, a bar, tables, chairs, fridges, an open fireplace and great viewing areas for family and friends to watch. 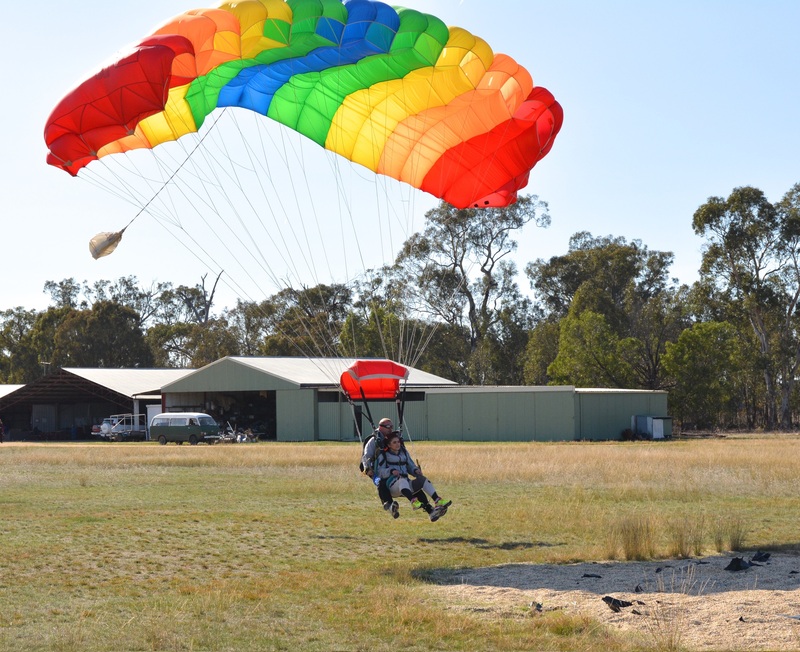 Skydiving in Nagambie and Euroa areas offers great picturesque views of the countryside. Best skydive near Melbourne guaranteed. If you would like any further information on Tandem Skydiving in Melbourne you can catch us on 03 9432 2419. If you dont do it you'll never know!